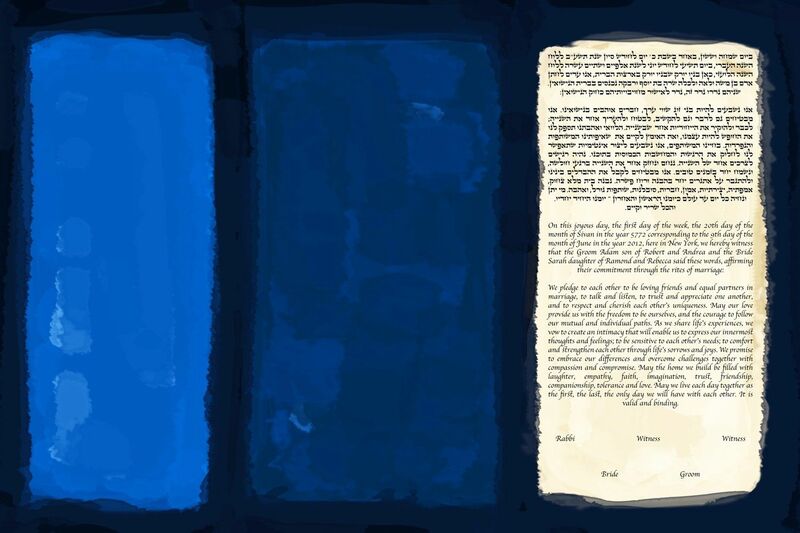 Blue No 18 is one of our most popular Ketubah available. Each one can be customized to fit your design preferences. Team Ketubah is all about working with our couples to create something you'll absolutely love! 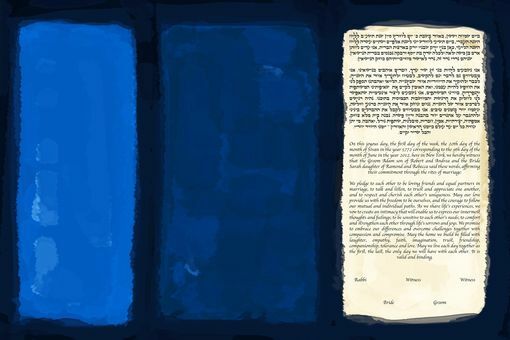 Each Ketubah comes in your choice of paper or canvas, and they are ready to be framed and hung.